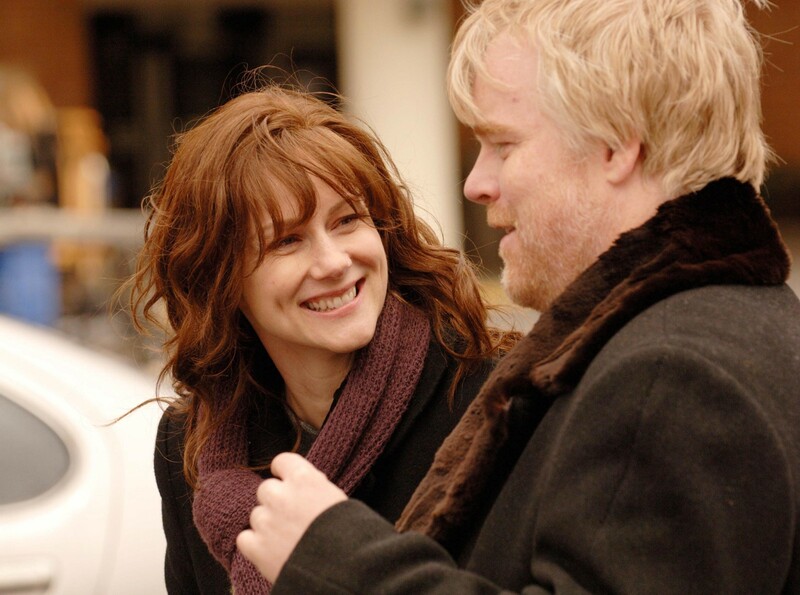 One of my favorite Philip Seymour Hoffman performances did not happen on-or-off Broadway or on a big screen. At the Independent Spirit Awards in 2008 — a party on the beach meant to celebrate indie excellence the day before the Oscars — Hoffman was there to receive the best male lead award for his role in “The Savages”, a quiet film that unfolds into something spectacular. Rainn Wilson was the MC and he did a great job, mugging, joking, and provoking. From the dais, he kept calling Hoffman, indie film royalty in this context, “the Hoff”. The event itself is always fun. Low stakes, lots of booze, and drunk celebrities in a tent on the Santa Monica beach. What’s not to like about any of that? Even if you don’t consume adult beverages — Hoffman was in that bunch — it was easy to enjoy the spectacle of actors in full frolic. Somewhere near the end of the event, Wilson called out “The Hoff” once more, invoking, as I recall, their shared background as high school wrestlers. A gauntlet was thrown and the two men collided mid-room, rolling under tables, grappling for their lives in a ferocious, spontaneous death match. Hoffman had a belly, but the man was not soft — he gave as good as he got, huffing and puffing the whole time. One thing led to another, his pants slipped, and he was selling a fair amount of crack. It was not his best feature, but he did not seem to care, instead concentrating on the matter at hand, which was fighting Wilson to a joyous and crowd-pleasing standstill. I saw him on the way out and we walked back the match. I had wrestled in high school as well. “If I just would have opened a little stronger,” he said, smiling. “He sorta got the drop on me to start.” So … game, ferocious, and always thinking about how he could have done it better. Covering entertainment means that you come across people whose faces you first saw 20-feet-tall on a movie screen. They tend to shrink when you meet them, but Mr. Hoffman was far from disappointing in person. He didn’t enjoy press even a tiny bit, but knew everyone had a job to do and mine, on occasion, was covering him during the awards season. And he was always available for a quote about a fellow actor or a project he was working. He was a professional, and a kind, decent guy to boot. Some actors survive the press needs of the job by staying within a narrow bandwidth of discourse, treating the world as a red carpet to be endured as they step-and-repeat their way through interviews. Hoffman wasn't like that. He listened to questions, thought about it, and actually tried to answer them. It’s easy to get confused covering celebrities. You make fake friends, born of transactions and mutual needs, but there is no human relationship under that. 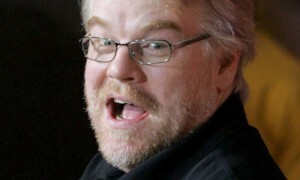 I was not pals with Hoffman, but he was uncommonly gracious. He remembered my name, which is something of a parlor trick given how many reporters actors see in the course of a career, and gave me his phone number so I wouldn't have to run a gauntlet of factotums just to ask a question or get a quote. He also knew that I was in recovery and we chatted about that a bit. In that context, he was authentic and insightful. Now that he is gone, much has been said about his failure, about his fall. I don’t really see it that way. He got in the ring with his addiction and battled it for two decades successfully, creating amazing film work along the way and doing the hard stuff to keep ambitious theater alive in New York. And then something changed and he used. Everyone is surprised when that happens to someone famous, but it happens routinely everywhere else. Rooms of recovery are full of stories of people with long-term sobriety who went back out and some of them, as a matter of mathematics and pharmacology, don’t make it back. Chemical dependency does not change — have one and you might die — and recovery does not change — have none and you might live. Addicts live between those two poles, but the hole that they once tried to fill with chemicals always remains, pushed back on a daily basis. Addiction, whether you believe it is a disease or not, is a pirate, constantly on patrol and looking for a weakness so it can climb aboard. I have no certainty about what went wrong, but I can tell you from personal experience that what happened was not the plan. I have been alone in that room with my addled thoughts, the drugs, and the needle. Addicts in the grip always have a plan. I will do this, get this out of the way, and then I will resume life among the living — the place where family, friends and colleagues wait and hope. He didn’t make it back to that place. We have the work, the memories, the films. I feel the loss, like all of his fans, but mostly I feel sad for him and those who knew and loved him. He built an amazing life while the rest of us got to watch and somewhere in there, forgot or lost the ability to enjoy the promises that recovery had delivered. I don’t blame him or condemn him or second-guess him. He did the best he could with everything that he had.